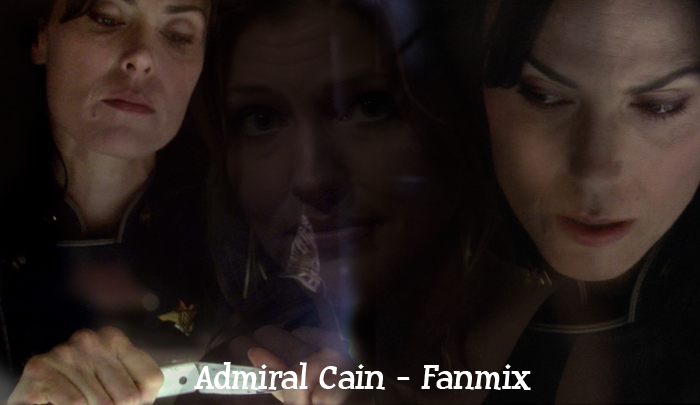 Forum » Michelle Forbes » Battlestar Galactica » Admiral Cain Fanmix. This is one of those crazy ideas that you have for months after listening to a song on your mp3 player, but never think you'll set into motion. But tonight, not feeling 100% (aka too lazy to work on your thesis...) you think, WHY NOT. Why not make an Admiral Cain fanmix...... ok, but a lot of songs that remind you of her, also remind you of her relationship to Gina..
Ok then just call it a 'Admiral Cain Fanmix', I mean how can you say Cain without saying Gina anyway!